ArcGIS ArcWeb Services give ArcGIS Desktop users access to high-quality data without having to store or maintain it locally. ArcGIS Desktop users can now access terabytes of rich content and new capabilities without having to store or maintain data. Esri now offers ArcGIS Desktop users an ArcWeb toolbar that provides access to ArcWeb service packages. Using the ArcWeb toolbar, ArcGIS Desktop users can obtain always current data via the Web and combine it with their local data. The service packages currently available are ArcWeb USA and the free ArcWeb Sampler. 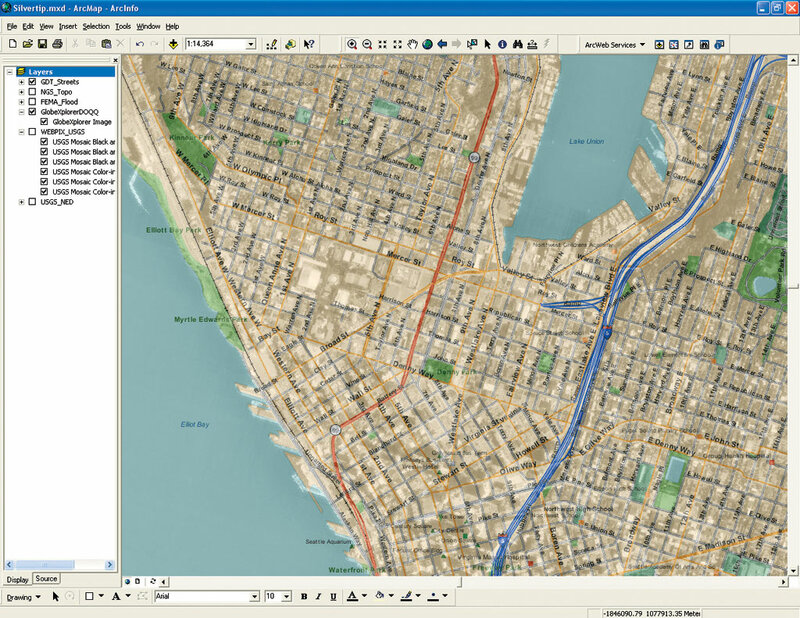 ArcWeb USA is a comprehensive offering of nationwide data that includes street data, high-resolution imagery, weather data, topographic data, flood data, and more. It is being offered on a one-year subscription basis. The ArcWeb Sampler service package includes world base map data, shaded relief imagery, population data, world gazetteer, world airports, and world earthquakes. Many additional service packages are planned. Access terabytes of content and capabilities without having to store or maintain data. Perform multipoint routing with driving directions. Find named places and display them on a map (including geographic regions, bodies of water, and major points of interest [POI]). Find addresses and display them on a map. Perform queries on the data accessed through ArcWeb Services (such as census and flood statistics for a specified location). 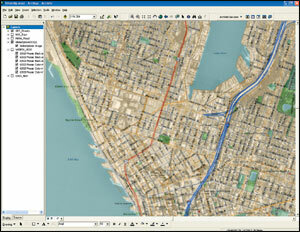 The ArcWeb toolbar for ArcGIS Desktop can be downloaded for free from Esri's Web site. After downloading the toolbar, users automatically have access to the sampler of free data. Those who purchase ArcWeb USA can also access this subscription service package through the ArcWeb toolbar. In addition, a 30-day evaluation of ArcWeb USA is available. For more information or to sign up for an evaluation of ArcWeb USA, visit www.esri.com/arcwebarcgis, call Esri at 1-800-447-9778, or call your Esri regional office. Outside the United States, contact your local Esri distributor.